How's that for subtle? I really really want this camera. I would even take a photography course to figure out what the heck to do with it. 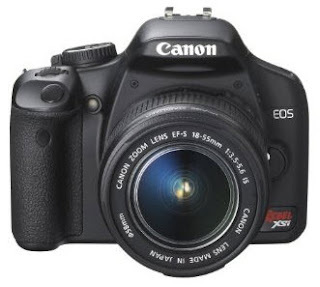 My hubs just bought this camera for me for xmas...it's currently being shipped to me and I CANNOT WAIT! Ahhh.. this is a great camera. I hope you get it! Thanks for your kind and supportive comment, all the prayers yesterday were such a blessing! Yup, that is my entire list also - well, there are other things, but that is what I most want! Yeah!! I love that camera. I bought it for myself in September right after we got our First Time Homebuyer Tax Credit. We went to Boston in October and I took over one thousand pictures. I hope you get it...it will change your life...for real! Oooh, nice choice! I really need a new digi camera, too. Hope someone gets it for you! Is this a hint to someone :-P. I bought myself a similar camera a few years ago and I just love it! Pictures are just so much more clearer and you can do so much with it. But I have to say, my small pocket camera is much easier to carry. The camera does make the picture - they're so smart these days you don't even really have to know how to use them. I have the Nikon D40, which is my fave. Hopefully Santa gets the hint. Yes! I just recently got my first SLR and it's amazing. You will love the control and features at your disposal. Let me know if you need any help figuring things out. I'm still learning but I have some tips (and it's all still fresh on my mind).